Mud, mud, glorious mud – Volkswagen has big plans at the Rally Great Britain in Wales. 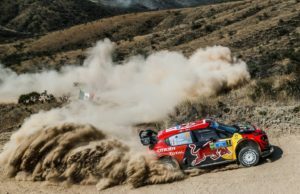 The works team from Wolfsburg could win the Manufacturers’ title for the fourth year in a row at the penultimate round of the 2016 FIA World Rally Championship (WRC). 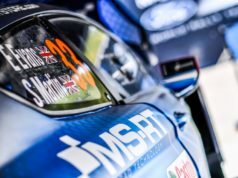 Meanwhile five duos go into the Rally Great Britain still with the chance of finishing second overall in the Drivers’ and Co-Drivers’ Championship. 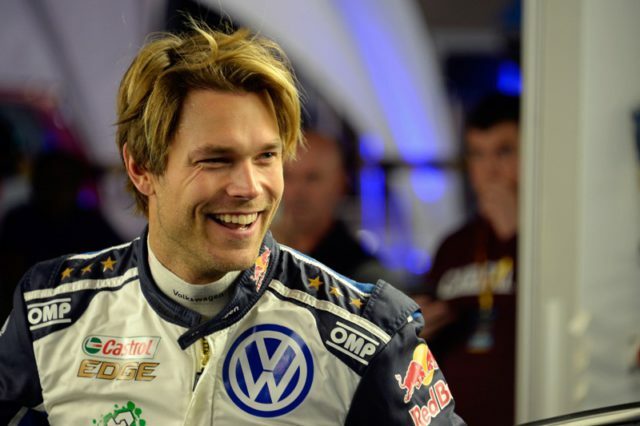 In pole position is the Volkswagen pairing of Andreas Mikkelsen/Anders Jæger. They are currently second behind world champions elect Sebastien Ogier/Julien Ingrassia. Level with them on points, but in third place due to poorer individual results, are their favourite adversaries and friends Thierry Neuville/Nicolas Gilsoul (Hyundai). The other two Hyundai crews – Hayden Paddon/John Kennard and Dani Sordo/Marc Marti – are 13 and 16 points back in fourth and fifth place respectively. Jari-Matti Latvala and Miikka Anttila in the third Polo R WRC are 23 points off second place in sixth. 25 points are on offer for a win, with a further three points up for grabs for the fastest time on the closing Power Stage. Fog, rain, snow and ice transform the gravel into mud and sludge, resulting in rapidly changing levels of grip at the Rally Great Britain. For the first time this millenniumthe crews will also visit England – although only briefly. For 1.80 kilometres, to be precise. That is the length of the “Cholmondeley Castle” stage, which rounds off Saturday’s action. The last time the Rally Great Britain took place in England was in 1999. 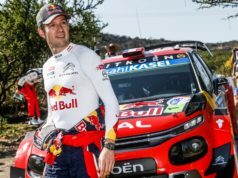 “I am very happy to travel to the Rally Great Britain as world champion. However, I remain just as motivated, as we also want to defend the Manufacturers’ title. The Wales Rally GB is one of the rallies that is the most steeped in history. It took me a while to find my feet in Wales. The learning process was probably longer here than at any other rally. I have won here three times since joining Volkswagen. After everything I’ve been through in Wales, I can now say that I feel right at home here. “The rally in Wales is one of my very favourite events. As I was really quick on the gravel stages in Spain last time out, I will also be quick in Wales. I have no doubt about that. However, the season has been really difficult for me so far. As such, I hope I can finish strongly at the final two rounds of the season and make it into the top three in the Drivers’ Championship come the end of the year. “I particularly like the layout of the special stages at the Rally Great Britain. I always enjoy driving there. Driving at the limit on the muddy, slippery surface is very tricky. Like every year, we will have to be prepared for rain and difficult conditions in Wales. The crash in Spain meant I dropped valuable points in the championship. My friend Thierry Neuville has drawn level on points with me in the Drivers’ Championship. It is going to be a tough battle with him for second place. My goal is obviously to be second come the end of the season.